A Siberian tiger at the Heilongjiang Siberian Tiger Park in Harbin, China, in 2017. A person who entered an abandoned house in Houston’s Harrisburg/Manchester neighborhood looking for a quiet place to toke found a tiger instead, KPRC-TV reported on Monday. The tipster said they were at the house to smoke marijuana and thought they were hallucinating when they first saw the tiger, according to police. The tiger was found in a “rinky-dink” cage in the garage, which was not locked, police said. The garage was secured with a screwdriver and a nylon strap, according to police. “A concerned citizen called 311. They were trying to get into this house to smoke marijuana. We questioned them as to whether they were under the effects of the drugs or they actually saw a tiger. They saw a tiger in this building, this vacant house that’s obviously been abandoned for some time,” said Sgt. Jason Alderete, of [the Houston Police Department’s] Major Offenders, Livestock Animal Cruelty Unit. While the tipster saw the tiger a week ago, it was only on Monday that Bureau of Animal Regulation and Care (BARC) officers and police found the animal. Who had put it there remains unclear. The tiger is bound for a BARC shelter on a temporary basis, with Cottingham telling the Chronicle that their facility was “not designed to house big cats.” BARC officials have been in communication with a wildlife refuge but it will not be able to take in the animal until later this week, she added. KPRC-TV reported that the Houston Zoo said that it has no plans to take the animal in. According to the Statesman, despite the thousands of tigers believed to be kept throughout the state, a Texas Department of State Health Services spokesman that only 50 were registered as of February 2018. 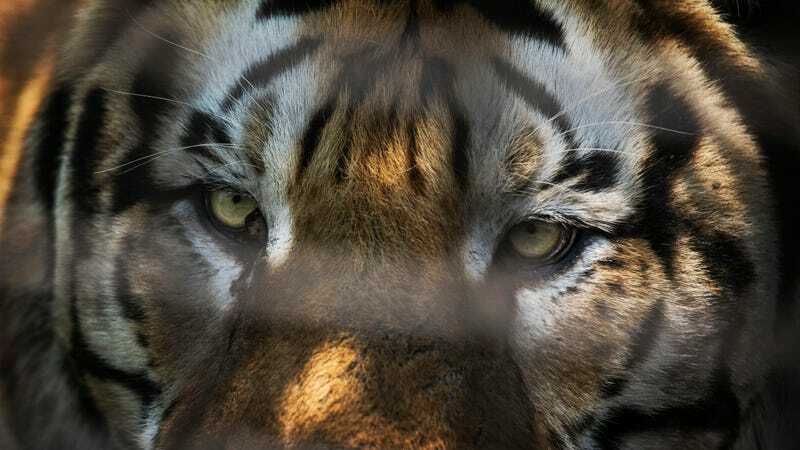 Animal rights and conservation activists say the inconsistent patchwork of laws on tiger ownership in Texas—the state does not track which counties ban tigers, and county-level enforcement is sometimes loose—has resulted in serious consequences, the Statesman reported.